The Purtrex depth filter is an exceptional value for general applications where long life, high purity and low change-out frequency are required. Produced through GE Water patented melt blown microfiber technology, Purtrex is a 100% pure polypropylene depth filter with exceptional dirt-holding capacity. Purtrex true-graded density filter matrix (lower density at the surface of the filter with progressively higher density toward the center) captures particles throughout the entire filter depth. 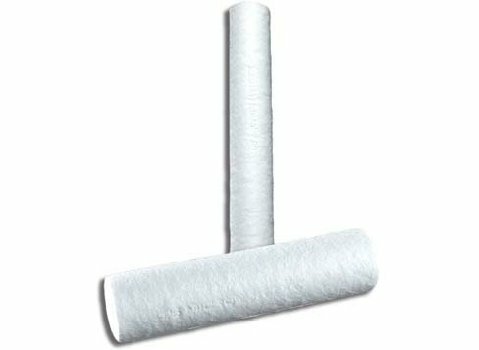 This translates to longer life and fewer change-outs than existing string-wound or resin-bonded filters. Purtrex contains no wetting agents, solvents, antistatic agents or binders, and meets the requirements of the FDA for food and beverage contact. The filter incinerates to trace ash for easy disposal.